New Acoustic Insulation Metamaterial Technology for Aerospace – A German-Canadian Research Project. Sound pressure level in aircraft cabins are similar to a noisy work place. One of the most disturbing noise for passengers is related to the engine fan. This noise is mainly tonal and in the low frequency range. Reducing this noise for the comfort of passengers is an important and challenging issue in aeronautics. One way to reduce cabin noise is to use efficient thermal acoustic insulation blankets between the interior trim panel and the exterior shell. However, conventional acoustic materials have reached their limits in terms of soundproofing, and non-conventional ones, such as metamaterials need to be industrialized. 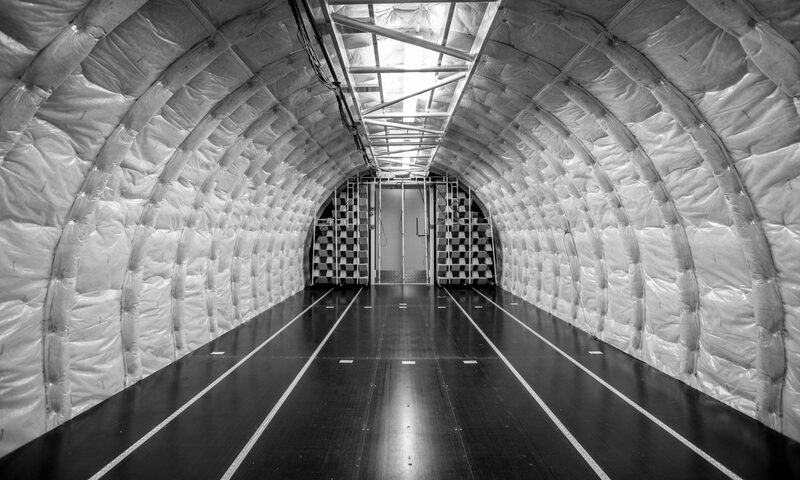 This project aims scientific and technological breakthroughs in the development and validation of new primary / secondary thermo-acoustic insulation blankets used in aircraft. One component of these blankets will be a novel acoustic insulation metamaterial (AIMM). Its integration in the thermo-acoustic insulation blankets will show sound insulation capacity that goes beyond conventional sound insulation materials, without deteriorating the overall thermal insulation of the blankets. As for the commercial novelties, the project will validate the integrated AIMM technology. This will ensure potential viability of industrialization and commercialization of the first AIMM based technology for aerospace applications. The complementary partnership includes Canadian and German Companies and Scientific Institutions. The project is financially supported by German and Canadian granting agencies.